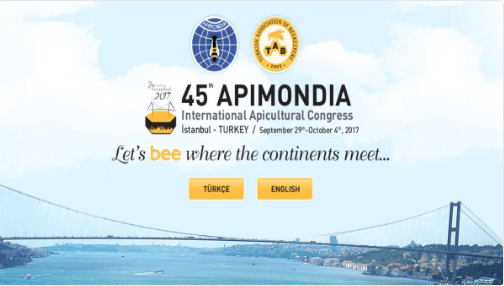 Istanbul to host the Apimondia between 29th September – 4th October 2017 in Istanbul Congress Center (ICC). Apimondia Congress has been organizing once in 2 years since 1897. Apimondia Congress with 8.000 delegates makes a major contribution with city. 114 members attend the congress from 77 countries. The Congress will offer a good opportunity to exchange experiences in various aspects and to discuss latest developments in the beekeeping world. The organizing committee of this project is a very big team who has a dedicated preparation work since 2009. They are planning to use the latest interactive technologies in the sessions which gives more opportunity to share your experience and increase your knowledge and competencies.